Get as much sunlight as possible during winter months. Many of us have had the "winter blues" at some point. Long, cold, endlessly gray days can affect even the most optimistic people at times. However, some of us suffer from more serious symptoms at this time of year. During the winter months, some people may experience feelings of depression, lethargy and irritability, all of which usually improve when spring arrives. This condition is called seasonal affective disorder (SAD). It's more serious than the typical "winter blues," and it's more common than you might think. In this article, we'll look at what SAD is, and we'll explore how you can manage its symptoms, so that you and your team members can stay productive and experience greater well-being during winter. This article is intended as a general guide only, and is not meant to replace medical advice or treatment. If you suffer from SAD, or suspect that you do, speak to a trained health care professional. The Mayo Clinic defines SAD as a sub-type of depression that is linked to the change in seasons. Symptoms typically start in the fall, build through the winter months, and often end with the arrival of spring. The exact causes of SAD are unknown, but many experts agree that the condition is linked to the reduced hours of sunlight during winter. One theory explores how sunlight stimulates the hypothalamus, the area of the brain that controls mood and sleep functions. In people who suffer from SAD, the lack of sunlight prevents this part of the brain from performing as it should. As a result, they might produce fewer mood- and sleep-related hormones, such as melatonin and serotonin. Although SAD can affect anyone, this landmark report found that it is far more prevalent in northern latitudes, and this study reports that the condition affects four times more women than men. Less energy and reduced ability to concentrate. Loss of interest in work, and in other activities. Opinions differ on how many people are affected by SAD. For example, this study estimates that around 15.8 million people in the U.S. may suffer from it each year. The Cleveland Clinic, however, estimates that half a million people in the U.S. may experience SAD, while a further 10 to 20 percent of the population could suffer from a milder form of "winter blues." The National Health Service (NHS) estimates that up to two million people in the U.K., and more than 12 million people in northern Europe, experience SAD each year. It can be difficult to live with the symptoms of SAD, and it can be even more challenging to stay upbeat and productive at work. However, there are several strategies you can use to manage your symptoms. Light therapy is one of the most effective ways to treat the symptoms of SAD. This involves exposure to high levels of intense light, emitted by a light box, for a set amount of time, typically 15-30 minutes. Light boxes come in different forms; some have to be prescribed by a health care provider, while you can buy others online. One study found that lamps with a dosage of 10,000 lux (a measure of illumination) can treat SAD effectively after one week of use. Exposure to natural light, even when it's gray outside, can help to alleviate your symptoms. So, make an effort to get outdoors as much as possible, even when you may not feel like it. Consider going for a walk during your lunch break, or taking up an outdoor winter hobby. has been shown to help alleviate the symptoms of SAD. It can also reduce stress, improve your mood, raise your IQ, increase your ability to learn and concentrate, and boost your energy levels. So, aim to do more activities that get your blood pumping each day. Remember, exercise doesn't have to mean going to the gym. You could sign up for a dance class, go running or walking with a friend, or practice yoga. Small changes like taking the stairs, cycling or walking to work, and parking further away from your office can also make a big difference. If you struggle to fit exercise into your busy schedule, consider getting up earlier to work out. Exercising early in the morning can also boost your metabolism, which has the benefit of burning more calories throughout the day. We've all experienced how one negative thought, or a conflict situation with a colleague, for example, can spiral into a pattern of negativity that lasts throughout the day. SAD can exaggerate this negativity, and it can lead to feelings of hopelessness and depression. exercises to manage your symptoms. , which is when you slow down and make an effort to appreciate each moment as you live it. This simple technique can transform how you experience life, and it can also help you feel grateful for the small things by encouraging you to appreciate everything around you. after work or spending time with friends. However, interacting with other people can help boost your mood, reduce feelings of loneliness, and provide a distraction from the other symptoms of SAD. So, reach out to family, friends and colleagues, and find some fun activities you can all do together. Diet can play a key role in helping you manage the symptoms of SAD. For example, this 1993 study found that people in Iceland experience fewer cases of SAD than those on the east coast of the U.S., despite being further north and receiving less sunlight. This may be because their diet, which is high in fish containing a lot of Omega-3 fatty acids, reduces the occurence of SAD. So, consider introducing more fish to your diet, including oily varieties such as sardines, herring, tuna, or salmon. If you don't eat fish, you can consume more flaxseed, walnuts, beef, tofu, or Brussels sprouts instead. It might also help to eat fewer carbohydrates and more fruits and vegetables. As a manager, it's important to realize that SAD is a serious condition that can wreak havoc on people's lives. If one of your team members experiences the symptoms of SAD during the winter months, there are several things you can do to help him or her cope, and to work more productively at this time of year. Natural light can greatly help reduce the symptoms of SAD, so start by taking a look at your team member's workspace. Can you move his desk closer to a window, or another source of natural light? You could also encourage people to take breaks outside to get some fresh air and sunlight.
. Walk around the office – is the environment motivating and uplifting? Is it well-lit and inviting? Is it clean and adequately ventilated? Consider brightening things up with paint, plants and inspiring artwork. And, depending on circumstances, consider providing a light box. These changes will help boost his energy levels right when he needs it most, and can also help the rest of your team. during the winter months, and you may notice that this affects the quality of her work and her productivity. Encourage her to follow the advice from the first section of this article, and sensitively suggest that she may want to visit a health care professional if her symptoms don't improve after a few weeks. Seasonal affective disorder (SAD) is a sub-type of depression that affects people during the winter months, and often disappears at the onset of spring. 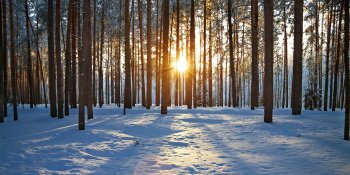 Although the exact cause is unknown, many experts believe the condition is our body's reaction to reduced exposure to sunlight during winter. To combat the symptoms of SAD, try using light therapy every day. Purchase a light box, or find ways to spend more time outdoors. Make an effort to get more exercise, and try to socialize more. If you're experiencing the symptoms of SAD, schedule time to have lunch with a colleague this week. Consider buying a light box – you can find these by searching online for "SAD light box," for example. Try to get more exercise. Brainstorm several activities you might enjoy doing, and try to think of some outdoor activities you could do to get more natural light. I struggle with SAD every winter (UK) and use light therapy daily (I have a small powerful SAD lamp that fits in my bag). Basically you just want to eat and sleep - exercising is the last thing you want to do. However, I persevered this year and it does help. Do go to your doctor if the strategies above don't help, as CBT and intermittent antidepressants can help severe cases. What a fun and uplifting thing to do. I imagine that decorating your office for summer lifted everyone's spirits! Rosen, L. et. al. (1990) 'Prevalence of Seasonal Affective Disorder at Four Latitudes,' Psychiatry Research, Volume 31, Issue 2, February 1990.